This entry was posted in Reviews and tagged CBS Sony, Demon Kogure, Famicom, Heavy Metal, ISCO, MSX, Music, Platformer, Rock, Seikima II, Seikimatsu on 04/04/2019 by BClarkOMP. This entry was posted in Reviews and tagged Columbus Circle, Famicom, Manabu Namiki, Mega Drive, Music Games, Rhythm Games, TECHNOuchi, Yuzo Koshiro on 02/24/2019 by BClarkOMP. 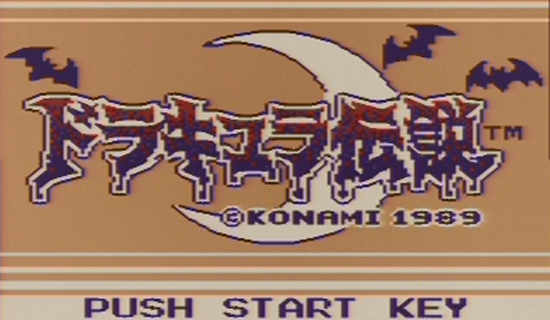 This entry was posted in Reviews and tagged Castlevania, Dracula, Game Boy, Konami on 08/26/2018 by BClarkOMP. This entry was posted in Reviews and tagged Arcade, Castlevania, Dracula, Haunted Castle, Konami on 08/26/2018 by BClarkOMP. This entry was posted in Reviews and tagged Arcade, beat-em-ups, brawler, Sega on 06/24/2018 by BClarkOMP.